New Earth believes in giving back to the community and to the Earth. Landfill diversion is one of our biggest corporate goals. We keep an average of 700,000,000 pounds of organic waste each year from being landfilled. Landfill diversion is one of our biggest corporate goals. We take this organic waste, such as food waste, grass clippings, leaves, livestock manures and tree trimmings and turn it into quality gardening products. Our staff works with municipalities and school districts to help implement recycling programs that will further reduce landfilled waste. What does one do with tons of spent tea bags? 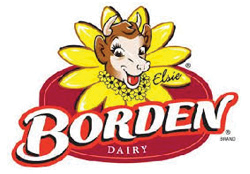 Well, if you are Borden Milk, you partner with New Earth!! With landfills growing and taking up more and more space, according to texasenvironment.org, Texas alone has 12 landfills more than 200 feet tall. This partnership has found an ingenious way to divert compostable materials. Together, Borden Milk supplies a typically discarded material (spent tea bags) to New Earth, who in turn uses said material to produce a product which will increase nitrogen levels in soil products. This increase in nitrogen helps the soil become a much more attractive meal to earthworms, who in turn help create a better composting product. TEAMWORK at its finest. What began as a pilot program with the City of San Antonio quickly become a city-wide program… and a partnership with New Earth was created. 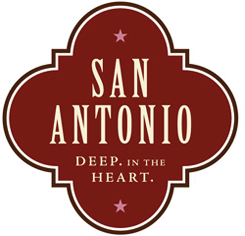 With a vision of the future, the City of San Antonio embarked on 10- year recycling and a recovery plan which went hand-in-hand with a “Cause” of the much anticipated SA2020 Community Vision. Within both documents, diverting material from landfills played an instrumental role in the future of San Antonio. Enter New Earth, a family owned & operated business headquartered in the River City with two additional branches in the Greater Houston area. 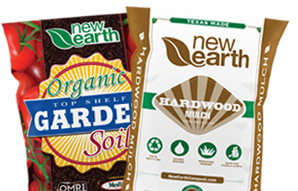 Established on 120 acres, New Earth won a competitive bid process to partner with the City of San Antonio to be the destination of food scraps, yard clippings, and other organics. With New Earth serving as the processing center for all the organic material pickup by the City of San Antonio, the City is well on its way to meeting its goal of reducing material sent to landfills by 60% by the year 2020, and direction by SA2020. This is music to the ears of many city and community leaders as the Environmental Protection Agency has indicated that 20-30% of landfill content is organic material. The EPA also indicated that the landfills the city depends on may be full in 70 years, according to state estimates. 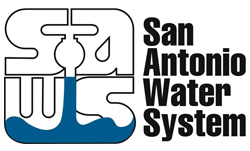 The partnership between New Earth and the San Antonio Water System (SAWS) is a great example of a mutually beneficial agreement which benefits the great city of San Antonio. For more than six years, New Earth and SAWS have partnered to recycle more than 65,000 tons of bio-solids annually to generate compost to improve soil quality for professional landscaper and the weekend gardeners. As the preeminent company in the organics recycling industry in our region, New Earth has worked hard to become a trusted partner with SAWS and we look forward to continuing to work together for many years to come. The City of Conroe, Texas and New Earth, Conroe, have entered into a partnership which is sure to benefit BOTH organizations. Located within a “hop, skip and a jump,” New Earth’s second location in Texas is ready to provide an invaluable service for an outstanding organization, City of Conroe, to the betterment of the community. 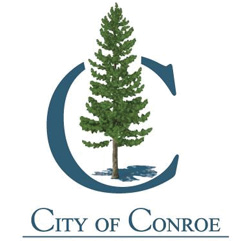 According to the City of Conroe’s Annual Budget for 2013-2014, the City has big plans for diverting biosolid materials from the surrounding landfills. For 2013-2014, Conroe is intending to ”process and dispose of approximately 9,000 cubic yards of Municipal Biosolids.” The beneficiary chosen to process this material is “neighbor” New Earth. New Earth was recently chosen to begin the disposal of biosolids at their local facility and create waste solutions for future generations. From time to time area Food Banks have vegetables and fruits donated, that are not used distributed in time or are about to spoil. At times like these, through partnerships with New Earth, those foods are put to good use. Fruits and vegetables play an important role in the composting process. To begin, and complete, the composting process, four main parts are needed; organic matter (fruits and vegetables) moisture, oxygen, and bacteria. Although other items can be used as organic matter, through partnerships with area Food Banks, the use of fruits and vegetables can be counted on to bear “fruitful” organic compost. waste each year from being landfilled.